Abundant sunshine. High near 95F. Winds NNW at 5 to 10 mph..
Maribel Mireles, a longtime Hanford resident, passed away on February 6, 2017. Maribel was born in Coalinga, California on September 13, 1972 to Ruben Mireles and raised by Manuel and Rosa Mireles. She grew up in Coalinga and graduated from Coalinga High School. Maribel moved to Hanford in 2002 and worked as a cashier for several years. She will be loved and remembered as energetic and humorous person. Maribel is survived by her daughter, Stefanie Mercado (Daniel) of Visalia, her parents, Manuel and Rosa Mireles of Hanford, her siblings; Alex Mireles (Molly) of Los Angeles, Monica Mireles of Hanford, Christina Mireles-Hurd (Joe) of Los Alton, Mark Mireles (Elizabeth) of Hanford, Ruben Mireles (Tina) of Hanford, Eric Mireles (Maxine) of Lemoore, Linda Mireles of Hanford, Rudy Mireles of Yuma, AZ and Bianca Mireles of Hanford. 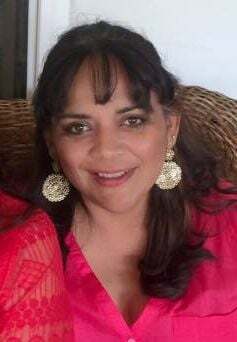 She leaves behind two beloved grandchildren, Cienna Gutierrez and Daniel Arias and her dearest friend Susie Cardenas. She will be missed by Diego, Lexi, Carlo, Vince and Mila who endearingly called her their “Nini.” Finally, she leaves numerous other nieces and nephews as well. Visitation for Maribel will begin at 1:00pm on Friday, February 10, 2017 with rosary at 3pm at Whitehurst McNamara Funeral Home. 100 W. Bush St. in Hanford. Funeral Mass will take place on Saturday, February 11, 2017 at 11:30am at St. Peter’s Catholic Church in Lemoore. Interment will take follow at Lemoore Cemetery.